This year, Park Slope's BAX (Brooklyn Arts Exchange), founded by executive director Marya Warshaw, celebrates its 25th anniversary of commitment and service to the arts and social equity. BAX AIR, the multifaceted organization's Artist in Residence program, has earned an international reputation for nurturing emerging artists through provision of practical assistance, supportive community and the time and space to take risks. Alumni of the two-year program include Katy Pyle, luciana achugar, Abigail Browde, Dan Fishback, Young Jean Lee, Faye Driscoll and Dean Moss--some of New York's most distinct, most influential voices in dance, theater and performance. Dance-choreographer Ni'Ja Whitson joined the 2015-2016 cohort of BAX AIR artists and has been developing, A Meditation on Tongues, a dance adaptation of the 1989 Marlon Riggs film, Tongues Untied. I asked first Warshaw and then Whitson to reflect on the artist's first-year work at BAX. Ni’Ja Whitson applied to be a resident in 2015, already an accomplished artist, performer, choreographer and a powerful practitioner of indigenous African ritual and resistance forms. In both their proposal and subsequent interview, the conversation about their current project, A Meditation on Tongues, weaved through the intersections of gender, sexuality, race and spirit. Our conversation was and continues to be equally about the artistic home BAX could provide and the spiritual alignment necessary for real trust and growth. Having already witnessed their work as a performer with former AIR Marjani Forte’s Being/Here, I knew and was excited by Ni’Ja’s startling and deeply intelligent presence on stage, and I looked forward to learning about them as a maker. The 2015/16 cohort included Marissa Perel, Kristine Haruna Lee, Aurin Squire, and Paloma McGregor. With a variety of distinct backgrounds, races, disciplines and goals, Ni’Ja brings themselves and their experiences as a black artist, in queer and trans culture, with their history and with their marvelously inquisitive nature about others work and lives. Whitson has also expanded their teaching practice within the BAX youth education program working with BAX’s talented teenage dance students. Their presence has been greatly and positively felt in all facets of our community. 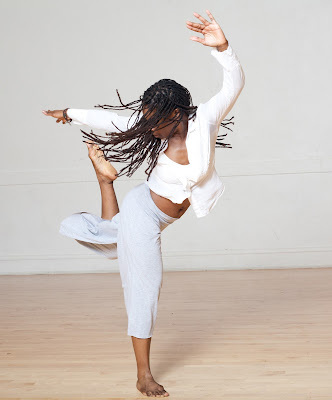 As a Director and mentor, I have witnessed Ni’Ja counter obstacles, learn new ways of breathing and re-connecting to their work, and along the way I myself have learned they are an even stronger artist than I originally thought. Their new work, A Meditation on Tongues is a live adaptation of Marlon T. Riggs’ iconic documentary film, Tongues Untied, which found both language and frame through the two Open Studios at BAX and last weekend revealed itself. The emotional stakes were incredibly high but completely authentic, and emerged from a place of stark honesty. The composition flowed naturally and provocatively, with each new image building upon the previous one. I am deeply excited that Ni’Ja will return as a second year AIR and look forward to deepening their relationship to, and involvement with BAX, as well as being a part of the full development of the work. EYA: When you launched your residency at BAX, at what stage were you in your process in developing A Meditation on Tongues? NW: In 2013, I began a two-year residency with Movement Research in the initial explorations of this work. I believed then that it would be an evening-length adaptation, however, I had not begun to experiment with the aesthetic possibilities, nor had I yet conducted significant historic, political and cultural research. When my BAX residency launched in 2015, I had transcribed the film, engaged significant contextual research–including connections with contributors to the Tongues Untied film and Riggs’ estate–along with completed impactful performance experiments and lectures that revealed a lot about what the work was asking to be. EYA: What questions sparked (and continue to spark) your process with this piece? NW: I again watched Tongues Untied just a few months after Trayvon Martin was murdered. I was immediately struck by two things: how the idea of Black love (received, perceived, or expressed) remained revolutionary, albeit contemporaneously absent in social narratives of Blackness; and the fact that there still existed no comparable documentary chronicling the lives of Black Queer women. Was (Black) love only revolutionary if experienced between men?And today, in our social conversations of gender, how does an ungendering or Queer gendering realize the revolutionary possibilities of loving? I’ve sought to recontextualize the film’s language and representation of Black Gay masculinities, selecting A Meditation to (re)cast across expressions of gender and Blackness to reveal, question, map and challenge expectations and assumptions of identity. At the center of this project is the script, a uniquely constructed collage of poetry and essays by Black Gay and lesbian writers popularized in the 1980s and 1990s (including Essex Hemphill, Joseph Beam and Audre Lorde). To further reflect and unpack the dense nature of cinematic layering, I’ve assumed a methodology of “remix making” where the expanded the script enriches and complicates the storytelling of Black masculinity while the live performance echoes layering via the use of synchronicity and interdisciplinary aesthetics. What results is a deepening in the experiences of Queer. Of Blackness. Of gender. Of love. Riggs’ film concludes with the now legendary (and controversial) words: “Black men loving Black men is the revolutionary act,” a statement which continues to provoke question and wonder for me. For Black Queer people what does the audacity of love between one another conjure? What does it invite? What does it, in the night and might of its dreaming make available for those who dare love against the grain? As a Black Queer gender-fluid person, I wonder where are the bodies that look and love like mine and how might that narrative become find itself as a revolutionary model? I’m asking what an investigation into Black masculinity for gender non-conforming people, women and trans indentified people of color elicits? Can a Black masculinity that isn’t (or is not only) violent and patriarchal be envisioned? Can that space for vision be created? I look to engage gender and sexuality as a site, an embodied locale where body, Black/Queer Masculinity and their meanings are excavated. I see this work as contributing to an expansion of the Black Lives Matter movement where the Black body has, too, expanded. I’ve begun to really deepen the ideas of how shape-shifting exists as a physical process to speak to the questions of what exists beyond the body. Where the body out loud, a dancing body out loud, has the unique facility to create and shift space and self. In A Meditation, I am encouraging a movement through states of being and body. This is a phenomenal advantage of the liveness of performance: the emotional and physical landscapes have the opportunity to be witnessed, negotiated, transferred, and even rejected by its viewer. But it is an active and real exchange. I’m questioning the ways in which people of color and Queer folks have created future selves in the present. Honoring the value of mythological and metaphysical leanings in this investigation of the body and Futurity. EYA: In what specific ways has working at BAX supported the development of A Meditation on Tongues? What did you need at first–and as you went along--and how are those needs being addressed? NW: Because I walked in with my gumbo ingredients nearly almost all gathered (research, aesthetics, the “artist’s food”) I really just needed a lot of time to experiment and play, to edit, to compose. I also needed to seriously explore additional funding resources to build out a creative team in support of what I want the work to have: a touring life. The BAX residency offered a great deal of time and a “hands-off” approach where I felt no judgment or confusion around developing a group piece as a soloist a lot of times in the studio. I believed that I initially needed to work with a group of about 5-7 people and that I would not be a performer in the work. I learned after the first 3 months that the piece was actually a duet (or what I have spoken about as a group work for two people) including myself and Kirsten Flores-Davis who has been a part of the project from the beginning. This was a hugely shifting discovery for the material. Marya Warshaw was an instrumental sounding board for the many complications that arose conceptually and logistically in dreaming the piece in a new format. As the residency deepened, I continued to learn that I needed to secure a viable financial life for the piece. I’ve received support in applying for funding and receiving valuable application reviews that have additionally supported me to revise and deepen the language with which I communicate about the work. EYA: The Marlon Riggs film, Tongues Untied, which you adapted for your piece, presents a corrective to the oppressive silence around and invisibility of Black queer lives. At one moment in your dance, I suddenly felt a powerful need to hear the sound of Kirsten Flores-Davis’s voice. That happened right before they began a physical struggle to speak what eventually emerged (from both of you) as toxic words. What are your thoughts on how you work with interior and exterior struggle throughout this piece? NW: (I could spend a long time on this, Eva!!) The interior landscape and the metaphysical/spiritual intersections in live performance are critical spaces of inquiry for me. It is all sacred, all serious spirit/warrior/ritual making. One of the ways the film “works” for me is that it is rooted in Riggs’ personal exploration within a critique of race, masculinity and homophobia. The material, while in places quite beautifully articulated in poetry, was also intimate, powerfully revealing. The interior landscape for me was found in exploring the subtext, the undercurrent of that beautiful (and in places heartbreaking) poetry. What I found this piece asked was to honor that the way to get at what a moment needs includes abstraction, omission, simultaneity. The struggle to physicalize an internal or spiritual or cosmic intelligence has been in conjuring live moments that do that thing as opposed to show it. Kirsten has become magical and masterful at engendering generosity between the internal and external. They entered the work already with those tendencies, and we’ve developed a great deal of trust in the process where we expect this negotiation of each other, along with myself creating tools wherein this is facilitated and held. EYA: I’m only guessing at how you go about your work, but the result feels organic–like a seed drawing nutrients from its surrounding resources, which seem to be many, and steadily growing into a sturdy plant. In a way, the seed knew itself from the very beginning. Does that make sense? NW: Yes, yes. And it is inspiring phraseology! Yes, I keep saying that sometimes my work with this piece was to get out of its way. I had ideas about how to approach Riggs’ concepts and strategies of collectivism that really, just did not work. However, the processes I’ve conducted with different groups has been instrumental to understanding what the piece wants. I mine my collaborators to access and make use of every inch of their ancestral and personal memory. Memory is a powerful embodied intelligence that gets built upon and further revealed as we open ourselves to it. And because I am concerned with the sacred, I take great care in holding space for what shows up. I recognize in this work that there are many layers of memory in operation: that of the filmmaker and his collaborators’ speaking of their lives, the generation of Black gay men and women who experienced extreme loss during the height of the AIDS pandemic in the 1980s and who were the first audiences of this film, and additionally, the memory I am introducing, that which the performers and I are creating and carry in our bones. The seed absolutely knew itself. My work has been deep, deep listening to the material(s), and people in the room, which I learned eventually had to include myself. And while superbly non-linear, a great amount of the material worked on/through/experimented with in process finds its way in the final composition in some form. They may be smaller, brush strokes of an exercise, experiment, gestural or fully embodied movement material, but I’ve learned to trust that everything that happens in the process is purposeful and necessary. Even the things that seem to fail. EYA: How did you arrive at your unusual and challenging ideas for space at BAX and placement of action in this piece? NW: There were two major reasons I can call on in this moment that motivated my space arrangement at BAX. One: I embrace that my performance work is, in a word, interdisciplinary, but in more words is working between genres, ideas, temporal and actual spaces in ways that are unique and can be challenging. I aim to shift space, time, body in the duration or journey of a work, so that site and self is not always placeable (that’s how we have always survived! Empowered transformation, shape-shifting, knowing and creating our beyond). In order to do that the room itself had to be both new and raw enough that witnesses could go there. The proscenium on its own almost never works for me, and this piece required that while we would have no space to hide, that we had space to hold and recreate it. Additionally, I believe that this requires people to walk into the building and feel and know that the space is something different, thus to disarm the witnesses’ expectations in order to set the rules of the world early on. Secondly, Riggs’ dense layering techniques as a director has also been very important to my creative considerations, and in alignment with how I have been working in the Theatrical Jazz Aesthetic. I’ve appreciated the challenging task of translating cinematic layering and techniques in the live. The proposed impossibilities of reimagining film to the performance have been freeing and encouraged me to expand the space (the frame) of the performance site and performing body. So where, for example, moments were composed around a “zooming in” or “overlapping,” I looked to spatial arrangements that required narrow sightlines for witnesses or included physical obstructions (of objects or people). EYA: The opening–in a narrow hallway with audience either lined against a wall or pooled in small areas–features a solo dancer, and I saw Christina James perform. Was the movement the same for Jonathan Gonzalez, who performed on the second night, or unique to him? NW: It was definitely unique to him, and he had much more of a definitive role in the work. Jonathan was invited to join the piece in the fall of 2015 when I attempted to reconstruct a larger group. While I was not sure about what it meant for my vision to have a cis-male in the piece, I was very captivated by what he offered the work, his maturity, the ease with which he entered and contributed to the world of my ideas. I took the performance weekend as an opportunity to reintroduce him in a role that was much clearer and strong, and out of a more traditional ensemble model. Jonathan has a magnetic relationship to vogue material in his body and we worked on exploring that/him as a Guide/Goddess/Spirit who interjected strategically throughout. He also sang “Come Out Tonight” live, the second night. EYA: What have you taken away from the experience of previewing this work for audiences, engaging them in its development? NW: I’ve learned that the spatial requests, requirements, arrangements are impactful and necessary. It is a challenge for both the witnesses and Kirsten and I as performers, but this is such an important element in keeping the integrity of what is being communicated and shared. It has been a long time in this work, and I’m taking away the reassurance that the piece works and is being asked for. It may sound trite, but I have also taken away a lot of trust in my process, ideas and collaborators. This was my first opportunity in New York to have complete access to a building and performance space for a repeat evening run and to be gifted people resource with which to realize my vision (which, I must say, is often encompassing). It is important for an organization or presenter to trust your bigness, and I found with BAX the same kind of trust that my performers and collaborators over the years have generously offered me. EYA: What do you look forward to as you enter your second and final year as a BAX artist in residence? Do you have specific objectives and goals for this or other work? NW: My plan for this work in my second year is that A Meditation on Tongues premieres in the spring. It may be in partnership with another venue. I also am planning for the work to have a touring performance life, particularly in the cities for which Tongues Untied was significant: San Francisco, Washington, DC, Chicago, and New York. The summer and fall will be focused on completing the full evening-length form to include remaining material from the film and research. Since I aspire to take the piece outside of BAX, my second year there will be expanding on a new project to begin this summer/fall via my Process Space Residency at LMCC. EYA: In your experience, what qualities or factors make BAX different and essential to artists? NW: The AIR program is intimately and thoughtfully curated by Marya and she considers not only the work that will be shared between artists, but the potential critical and conceptual dialogues that will inform, challenge and inspire the cohort. This has been very important for me and I believe is an important aspect of an AIR program of this type. The BAX staff know and support their AIRs (in the work, and in the forward-thinking dreams/plans thereof), making for an engaged agency in the space. BAX is unique and essential in its investment in the new/non-traditional/genre-bending which often times, and has been in my time there, another investment in the communities where these approaches are (or are understood to be) commonplace: Queer folks, People of Color interrogating important questions of the time–ability, oppression, futurity, radical love. EYA: Is there anything else that you’d like readers to know? I just want to offer that this piece couldn’t have been possible without the incredible support of Signifyin’ Works (the estate of Marlon Riggs’) with whom I pursued and secured the rights to excerpt and adapt the film. As live artists this is not always seen as a necessary or surmountable task, however, I feel a great deal of accountability to the community for whom the film contributed to their coming of age/self and for who in the future this may be possible. The writers, activists and camera operators of the Tongues Untied film community who shared their time and stories with me charged the work and were absolutely inspirational when I felt overwhelmed by the responsibility of working with such iconic material. Ni’Ja Whitson is a 2015 Bogliasco Fellow and a recipient of Creative Capital’s inaugural “On Our Radar” awards. 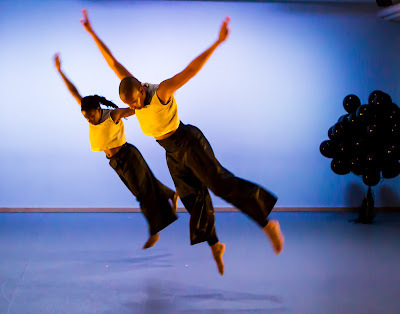 Referred to as “majestic” and “powerful” by The New York Times and “multi-talented” by Gibney Dance, their performance and challenging work as an independent artist has received awards and recognitions across disciplines. Whitson has been a student and practitioner of indigenous African ritual and resistance forms for over ten years, creating work that reflects the sacred in street, conceptual, and indigenous performance. They engage a nexus of postmodern and African Diasporic performance practices, through the intersections of gender, sexuality, race, and spirit. Working internationally, creative and scholarly works include collaborations and performances for leading artists interdisciplinarily such as Allison Knowles, La Pocha Nostra, April Berry, Darrell Jones, Merián Soto, and Marjani Forté. As a noted innovating practitioner of the Theatrical Jazz Aesthetic and accomplished improviser Whitson enjoys ongoing collaboration with award-winning artist Sharon Bridgforth, and currently as a touring company member of Bridgforth’s River See. Additionally, Whitson is a member of Douglas Ewart’s (AACM) interdisciplinary performance ensembles touring notable venues across the country with leading creative and jazz musicians such as Mankwe Ndosi, Tatsu Aoki, and Joseph Jarmon. 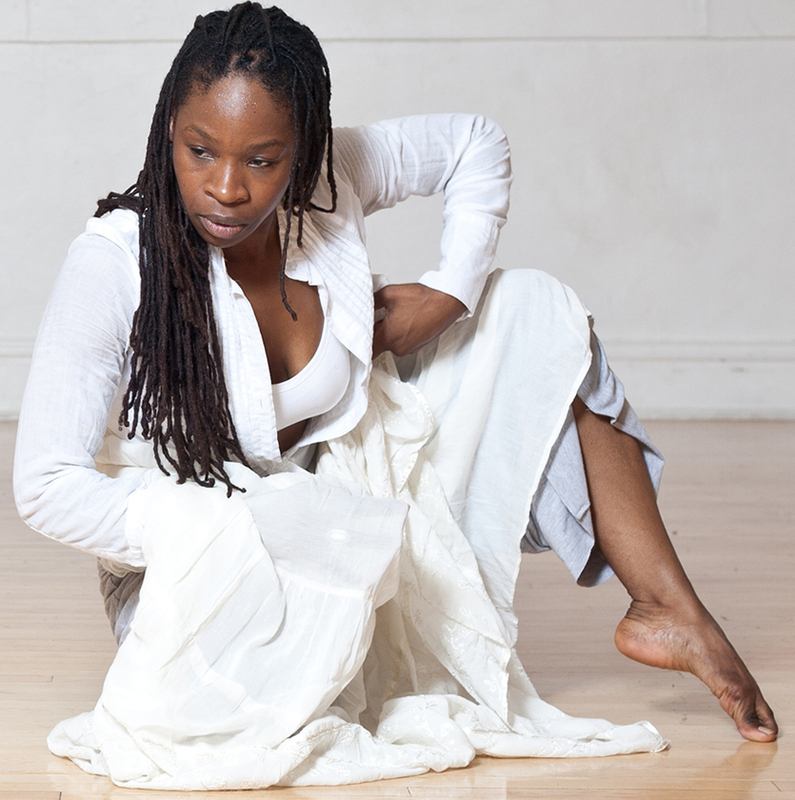 Whitson’s work as an independent choreographer includes working alongside Dianne McIntyre on the 10-year anniversary revival of Crowns, written and directed by Regina Taylor at the Goodman Theatre, as choreographer for Nia Witherspoon’s Messiah Complex and Susan Watson-Turner’s directing of Anon(ymous) both of which received New York audience and ensemble awards. 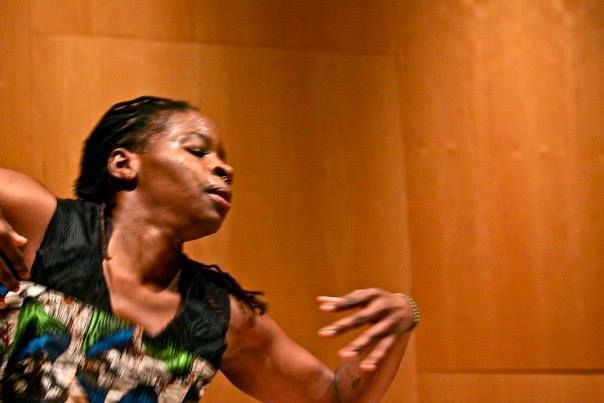 Recent Commissions and residencies include Harlem Stage, Gibney Dance, St. Marks Danspace, Dancing in the Streets, and residencies with the Bronx Academy of Arts and Dance and Movement Research. Other recognitions and awards include Time Out New York and Chicago Critic’s Picks, Kennedy Center American College Theatre Festival Outstanding Ensemble Award, Downtown Urban Theatre Festival Audience Award, Vermont Studio Center Writing Residency, LinkUp Inaugural Artist in Residence, Chicago DanceBridge Residency, John G. Curtis Jr. Prize, Archibald Motley Grant, 3Arts Visual Artist Award Nomination, and a MFA Fellowship Award from the School of the Art Institute of Chicago. Visit Ni'Ja Whitson on Facebook. Visit Ni'Ja Whitson on Vimeo. For more information about BAX, click here.